Windowsills, sometimes known as window cills, are durable and hardwearing when made of UPVC. Firstly, there’s the platform, on which the window sits. The platform varies in width depending on the thickness of the window itself. A UPVC windowsill is tapered and this ensures that water runs away from the window. As the water falls down the top of the external windowsill it can cling to the sill and travel underneath towards the wall. To avoid water being carried back to the wall there is a groove underneath a UPVC windowsill called a ‘drip’. When water reaches the ‘drip’ it will fall vertically away from the building. 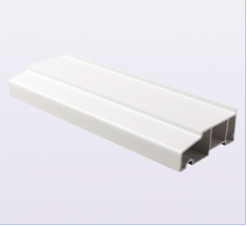 For further information on Kestrel windowsills/cills please read our technical information. For product illustrations, sizes colours and types go to our windowsill product pages.